Your gift creates “ripples of transformation” in our communities and beyond. When people allow God to work in and through their lives ‘from the center out’ they are leading from the strength and wisdom of a transforming soul. One way to reflect on the impact of Jesus’ birth during the season of Advent is to consider the ripple effect. An inauspicious birth in the backwoods of Bethlehem generated waves of transformation that have rippled across 2000 years of time right up to the present day! Here in the Transforming Center we often speak of “working from the center out” as we focus on strengthening the inner life of pastors and leaders through our 27-month Transforming Community experience. As that leader shares his or her transformational journey with others in their ministry setting, they create ripples and waves of transformation that eventually reach to their entire community and into the world beyond! One of the highlights of this past year was the ten-year anniversary of Strengthening the Soul of Your Leadership (InterVarsity Press) marked by the release of a new edition. In celebration of this milestone, our friend Gary Haugen, Founder and CEO of International Justice Mission and Transforming Community alumnus, contributed a new forward to the book, providing a clear example of the ripple effect one leader’s journey of transformation can have on an entire ministry. Leaders who allow God to work in and through their lives “from the center out” make the greatest impact in the world because they are leading from the strength and wisdom of a transforming soul. Only God knows the ripple effect of one leader on his/her church or community for the kingdom of God! As we approach the end of this year, we invite you to consider investing in leaders who will create “ripples of transformation” in our communities and beyond. Over the last year, we’ve made bold moves in our mission to strengthen the souls of leaders—reorganizing and increasing our staff, upgrading and redesigning our materials and website, expanding and diversifying each Transforming Community—in response to our sense of God’s call to move forward in very specific ways (see Bridge to the Future diagram). We are trusting God to work through generous friends like you as we seek to create our own ripple effect— partnering with God to cultivate transforming leaders whose quality of presence and clarity of vision will transform their communities as God works in them from the inside out. Our year-end goal is $100,000. Would you support us with a gift of any size as we close out this year? We are trusting God to work through generous friends like you as we seek to create our own ripple effect—partnering with God to cultivate transforming leaders whose quality of presence and clarity of vision will transform their communities as God works in them from the inside out. 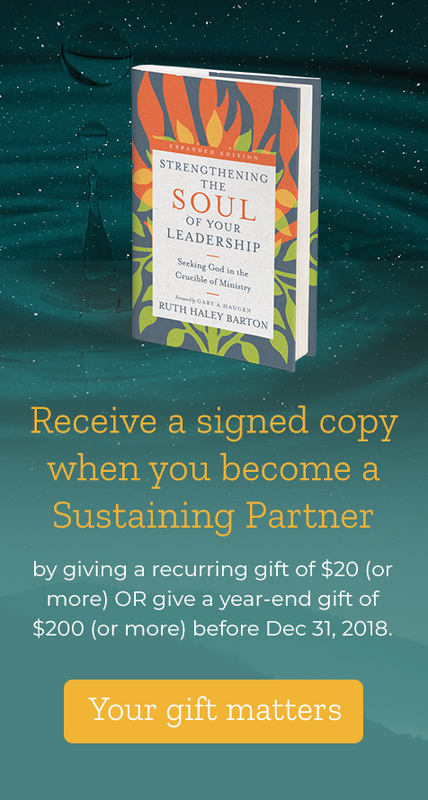 PS—Become a Sustaining Partner before Dec 31, 2018 by committing to a recurring gift of $20 (or more) a month OR give a year end gift of $200 (or more) and receive a signed copy of the new edition of Strengthening the Soul of Your Leadership—which includes Gary’s story of leadership transformation. The Transforming Center is a not-for-profit 501(c)3 organization. Your contributions are tax-deductible under IRS regulations. Checks must be postmarked by December 31, 2018 to: Transforming Center, 209 S. Naperville Rd., Wheaton, IL 60187. Learn more about donating securities to the Transforming Center.